Here at Billings Forge we create wonderful food in our sustainable cafes and catering businesses; we run a yearlong farmers market where everyone comes to put food on their family table, we grow food together in our community garden and cook and share our problems and our hopes and dreams. 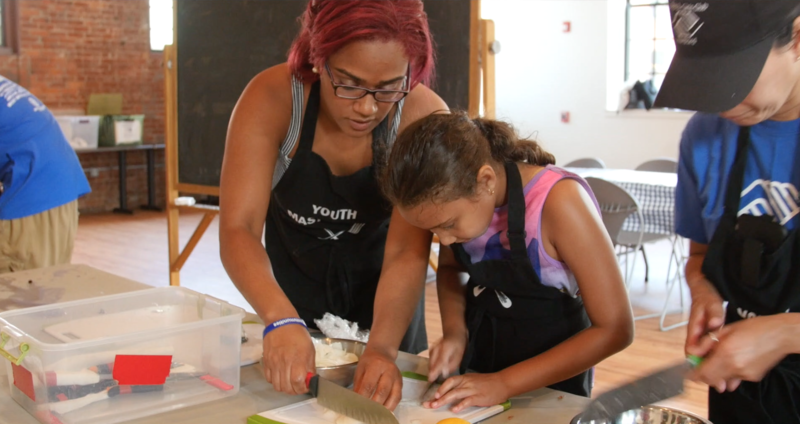 We use food to change lives, build community, and create opportunities. When you support our businesses, you support this mission. Food is the tool we use to empower. Food is the investment that produces healthy children learning and playing, parents parlaying opportunity and training into personal success and stable families, and residents transforming their neighborhood into a model of vitality and shared experience. This video was shot and edited by Heather Holloway, produced by Lucia Nazzaro, and highlights Billing Forge Community Works’ three main programs.